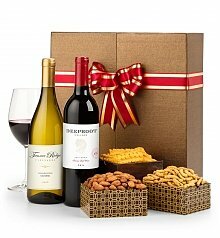 Celebrate Mom in style and elegance with luxurious wine gifts and more. It's a perfect spring afternoon. She's lounging on the terrace overlooking the garden. Lilacs are blooming with fragrance and the hypnotic sound of buzzing bees fills the air. The light is soft; sunbeams dance through the trees with the cool breeze. 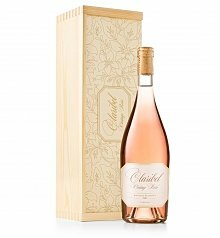 She lifts a glass and breathes in the aromas of ripe stone fruits, strawberries and just a hint of earthiness. As she takes a sip of this sparkling champagne, she realizes this is the most relaxing Mother's Day she's ever had, thanks to you and the perfect Mother's Day wine gift delivered from GiftTree. 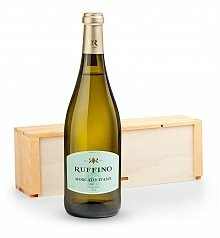 From the connoisseur to the casual wine lover, GiftTree's selection of Mother's Day wine gifts has something for every woman who deserves a toast. 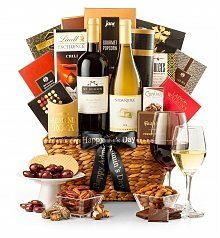 Whether you choose a lively champagne, velvety red, crisp white wine or all three, the knowledgeable sommeliers at GiftTree have taken great care in choosing superior wines for our gift baskets. 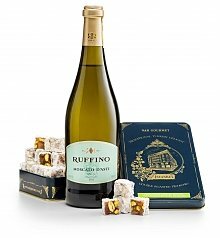 When expertly paired with the finest gourmet chocolates, cheeses, and more, our impressive Mother's Day wine gifts promise to show your gratitude to Mom in the most elegant fashion. Mothers, Grandmothers, Wives, Aunts, Sisters - any woman in your life who has been there for you through the years deserves to be pampered. 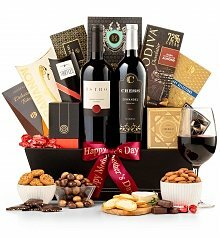 From a decadent chocolate gift, to a basket of fresh fruit or a beautiful bouquet, let GiftTree help you honor her with a personable, unique Mother's Day gift that will be remembered and cherished.